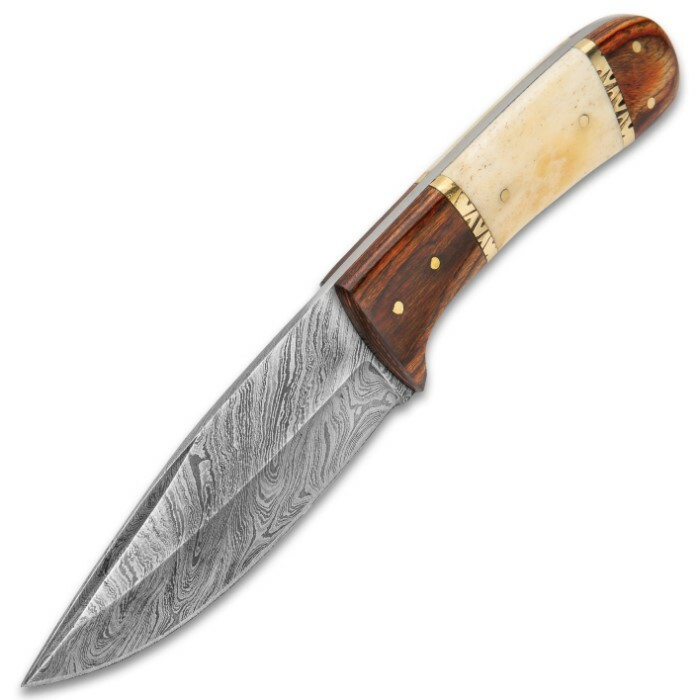 Timber Wolf Workhorse Fixed Blade Knife - Damascus Steel Blade, Wood And Bone Handle, Brass Pins And Spacers - Length 9” | BUDK.com - Knives & Swords At The Lowest Prices! 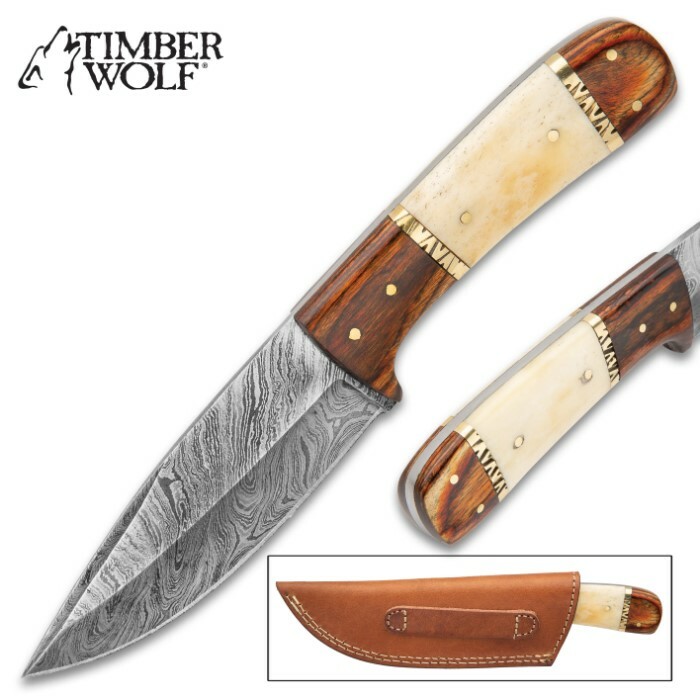 The Timber Wolf Workhouse Fixed Blade Knife is exactly what it’s called! You can depend on it to be an all-around, hefty utility knife, offering you an indispensable tool right on your hip. 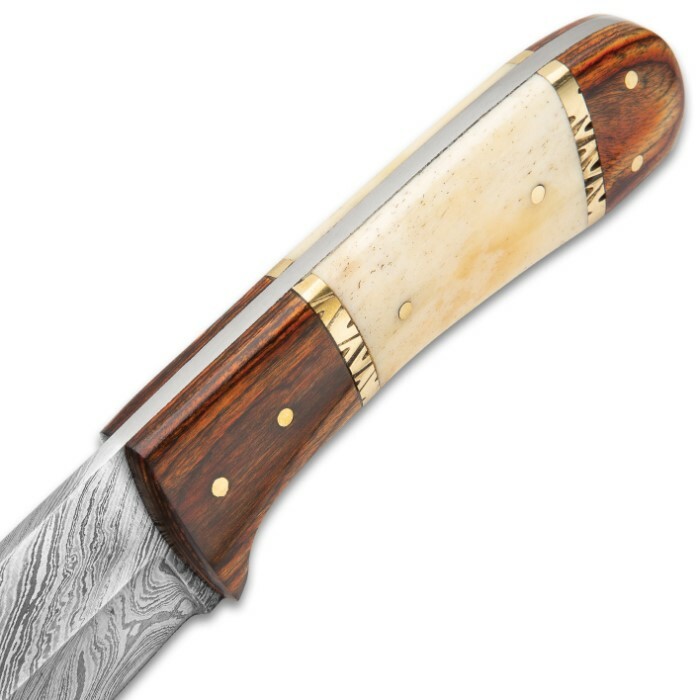 It has a razor-sharp, 4 1/2” full-tang Damascus steel blade, which has a full-bellied profile, making it a sturdy workhorse. 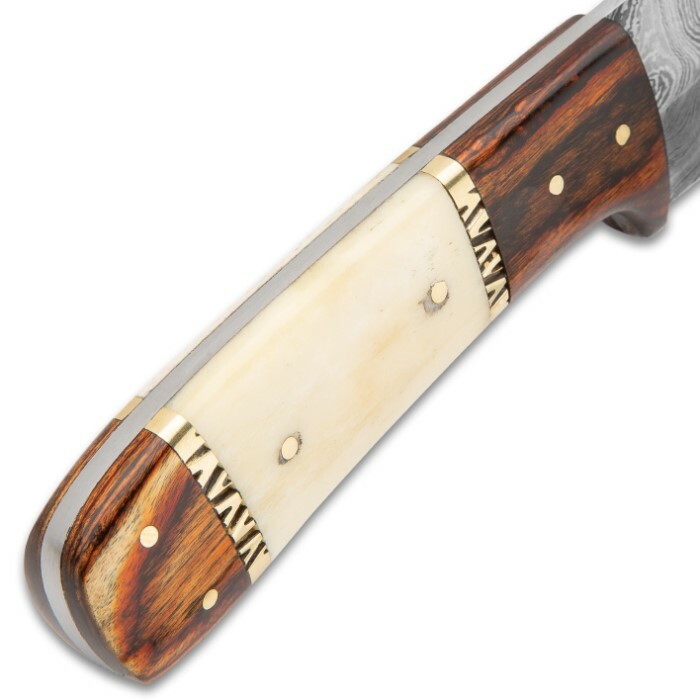 The handle scales are of wood and bone, separated by decorative brass spacers and secured with brass pins to the tang. Even though, the handle looks like a work of art, make no mistake, it is completely solid and built for rough use! 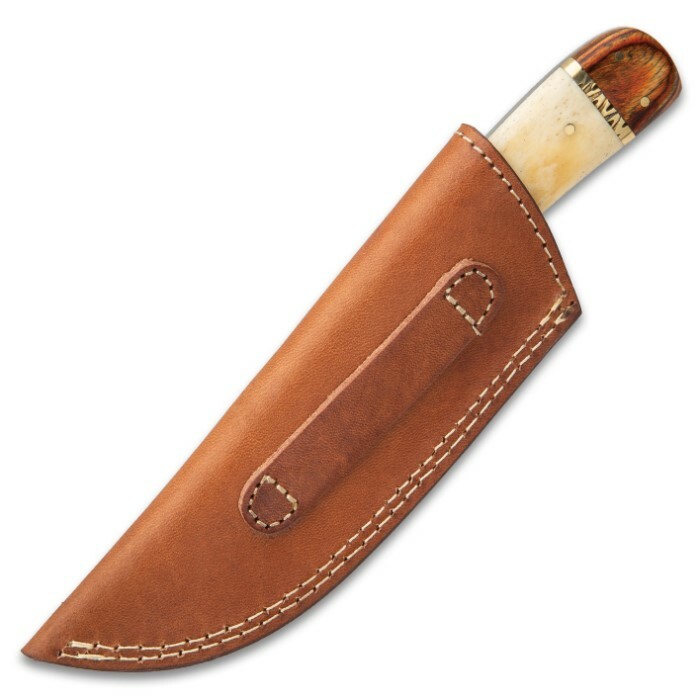 The 9” overall fixed blade knife slides securely into a premium, brown leather belt sheath with white top-stitching.